White has an enormous material advantage. Black could quietly resign this position but nobody ever won a game by giving up, so he decides to hang on for dear life. How should White finish off his opponent? Actually, anything White does short of handing material back to Black wins. But let's put ourselves in White's shoes and attempt to beat Black in an orderly fashion. We need a target and a plan of attack. The target will show us where to concentrate our energies, and the plan will tell us what to do.In this case, we will choose the Black pawn on e6 as our target. Why this pawn? Because it cannot move. It stands to reason that it is easier to attack something if we can train our sights on it. 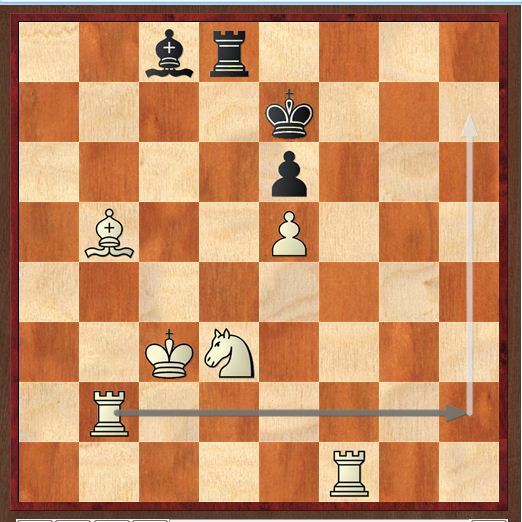 We don't want a moving target, so the e6-pawn is an ideal candidate.One sensible first move would be 1.Bc4 , which opens the b-file for White's b2-Rook and brings the Bishop's powers to bear against the e6-pawn. Black is completely helpless, so nothing he does will have much consequence. He plays 1...Rh8 . Now White continues his e6-pawn assault with 2.Rf6 , and Black once again moves his Rook with 2...Rd8 . Notice how every White move is dictated by our chosen course of action. The goal is to win the e6-pawn, and the plan of action is to bring White's pieces to positions where they can attack this target.Now how should White continue? So far, he has attacked with two pieces (the Bishop and Rook), but the enemy defenses are easily holding against this small raiding party. The key to winning this position and most others is to involve the entire White army in the assault. Suppose you are the employer of four workers, two of whom never make any effort to do their jobs. Would you tolerate this situation? No! So why would you allow any of your pieces to act in the same manner? 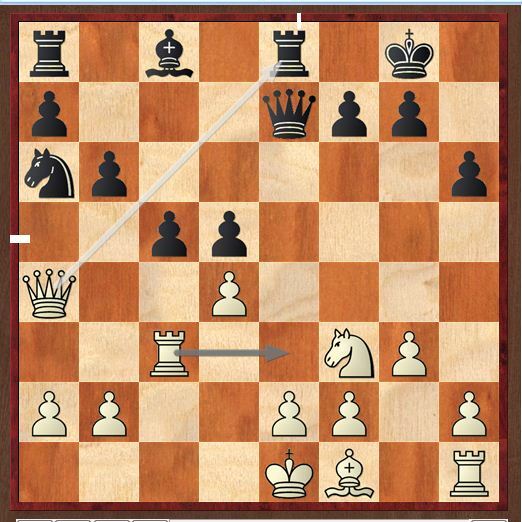 Make them earn their keep!Applying this philosophy to our present game, White forces the lazy b2-Rook to join in the attack on the e6-pawn with 3.Rb6 . Now the e6-pawn is attacked three times and defended only twice, meaning that White will win it. 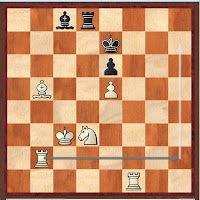 Note that if Black could somehow defend his pawn a third time, White would make use of his Knight (a fourth attacker!) by playing it to c5 or f4.This example shows how important it is to use your whole army. As a game of warfare, chess is a group activity, and each member of the group – pawns and pieces alike – must make a contribution. 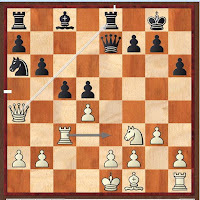 Chess Combination of Mating Attack. Chess World Championship 2012 ; 4th Round.